Have you ever been told by your partner that the grinding of your teeth wakes him/her up in the night? Or have you heard a loud clicking or popping sound when trying to open or close your mouth? If not have you experienced pain in the face, jaw, neck, upper back or headache? If you do relate to any of the two symptoms above, you may or may not be aware that you are suffering from Bruxism which can lead to Temporomandibular Joint Disorder ( aka TMJ ). 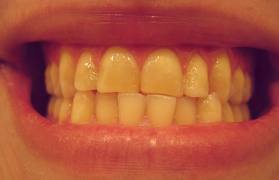 Bruxism originated from the Greek word brugmos which means “gnashing of teeth”. The most common causes for this is stress, sleeping disorders and obsessive compulsive disorders. This teeth grinding and jaw clenching behaviour can happen anytime of the day but is uncontrollable and more worrying during sleeping hours. Bruxers are often not aware of their bruxism unless someone notices them doing it while asleep and informs them so. Dental damage like the uneven surfaces of the edges of teeth or poor bite alignment can also be the cause of bruxism. In the worst case scenario, which only affects a small number of bruxers are the symptoms of jaw or head aches which can lead to TMJ and will need to be treated, so make sure you call Alaska Dental Associates today in case you’ve discovered this issue in your own mouth. TMJ disorders are problems or symptoms of the chewing muscles and joints that connect your lower jaw to your skull. 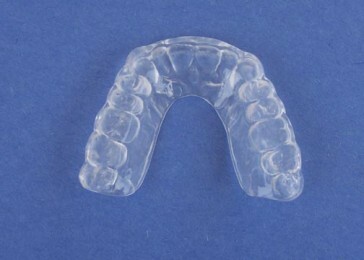 There are a few options to treat TMJ disorders relating to bruxism. structure. I personally find it uncomfotable and it just feels like wearing braces. should be made regularly to monitor your teeth structure. *** TMJ also affect those who sit at the computer for more than 3 hours a day, please keep your chest open, shoulders relaxed and spine lengthened at the desk and have a break every one hour to stretch and relax your muscles. Is that saying a myth or truth? Most people I know would render it true because they have heard this since they were kids. But let us not accept this common practice blindly and consider other reasons before we conclude. The reason behind this practice is that after having a heavy meal, it is better to take a walk rather than sitting down because inactivity causes laziness and weight gain. But scientifically, when we move around, muscles and energy are used, which means that our heart has to work harder to pump blood around the entire body. In contrast, in the yoga world, we are advised to sit still in vajrasana ( thunderbolt pose ) or virasana ( hero pose ) for about 10 – 15 minutes after a heavy meal. You may wonder now that sitting still is inactivity and will not help digest the food. To say that this is inactivity is true, but it causes the digestion system to work more efficiently. What happens in vajrasana or virasana is that due to the extreme flexion of the knees, certain nerves of the lower legs are being compressed causing the reduction of blood supply to that area. Therefore, more blood will be circulated around the stomach area increasing the working capacity of muscle and glands relating to the process of digestion to be better and quicker as compared to walking. Note that the composition of chemistry of the stomach will still be the same. Other than that, the position also benefits those with indigestion, constipation or gas formations. It helps stretch the front thighs and opens the ankle joints. Having said all that, everybody has a different body structure and levels of flexibility. Therefore, be careful if you experience pain in the knee. 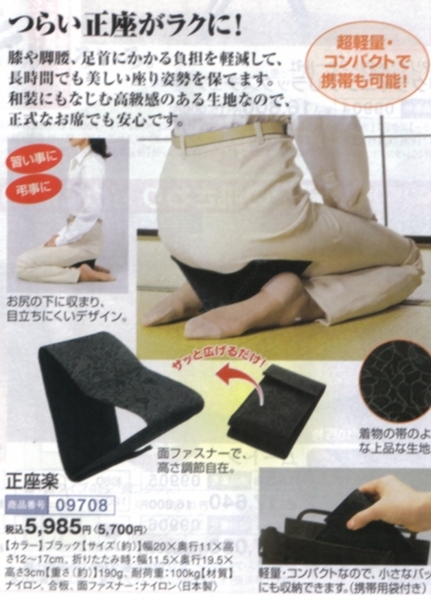 You can place a rolled up towel or bolster under your buttocks. And if the top of the feet hurts, you can also place a towel under them. In conclusion, walking after a meal is fine. The question to consider here is when to walk after a meal? It all depends on how heavy the meal was. I would say that one hour post – eating should cause no harm to your digestive system. “ LOVE ” is a feeling which is universally recognized by humans and animals alike. It is a feeling or word which normally exhumes positiveness. It creates happiness, a healthy mind, body and soul and sometimes a meaning to what life is. It makes life worth living and is also a necessity to any living beings. A person who has the ability to love benefits himself and those around him. Without love, there will be no compassion, and vice versa. Remember the times when you felt love, whether it was for a person, an animal, an object, music and watching our beautiful nature. Keep your eyes closed and recapture the feeling you had during that occasion. Does it make you feel extremely positive and that you can go through any obstacles that come your way? I have no doubt that everyone would have experienced loving another or something and being loved in return. On another note, there are times when you must have felt that no one is on your side, or that things just do not seem to be moving your way, or that you are alone in this worldly battle. When such negative thoughts dominate your mind, you tend to lack confidence and feel disheartened. One of the reasons for such feelings is the lack of love for yourself. When I say love yourself, I do not mean that one should be egoistic and think that “ I ” am the best. Bear in mind that God created everyone differently so that the world will not be a boring place to live in . By saying that, I would like to add on that God is also fair. No one has a perfect life; one is good in something and not in another department. So do not beat yourself up if you cannot mirror another person’s achievement. Try to see the positive side of everything. When you love thyself you will love those around you. And those around you will show how much they love you, so love thyself today. A simple and effective way to spread love within yourself is by practicing the Buddhist Loving-Kindness meditation. It will help you cultivate positive energy by repeating a four-line mantra with affirmations of yourself. This method of meditation have been taught to me by a friend who went to a monastery in Myanmar to seek solace by immersing herself in the ways of a Buddhist nun. After a few years, she has found happiness within herself and have remained in the monastery to serve the community. Visualize happy moments in your life where joy is abundance and times when you have attained success. Absorb that feeling and imagine yourself in a safe bubble of heart which is glowing radiantly. Then recite this mantra in your mind. ( d ) I am well and happy. Keep repeating the mantra and smile to your heart. You will be having all sorts of thoughts but do not force them away. Allow them to pass through for the more you force them away, the harder your mind works and this will cause you distractions and unnecessary use of energy. It is the same concept as when someone tells you to save your breath to save yourself the stress. 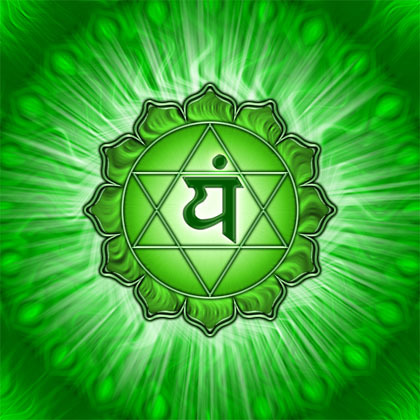 You can take as long as you want and repeat the mantra as many times as you like. The most important thing is to affirm positivity within yourself. Treat your body, mind and soul like a temple, so love yourself and the world will treat you better.